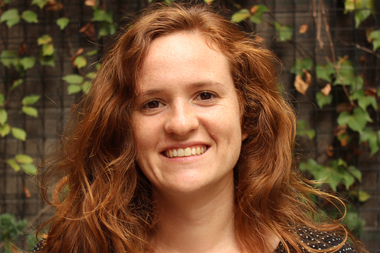 Gwynne Hogan is a reporter/producer covering Williamsburg, Greenpoint and Bushwick. Prior to moving into the beat, Gwynne was a general assignment reporter covering breaking news. She's a proud alumna of CUNY's Graduate School of Journalism where she wrote stories for Voices of NY. Before moving to New York City, Gwynne wrote daily news, culture and travel stories for an English language newspaper in Santiago, Chile. She also covered travel and culture for a magazine in Mendoza, Argentina. For two years, Gwynne worked as a tour guide at an Argentine winery when she thought she wanted to be a sommelier. But naw, reporting is where it's at. FUN FACT: Gwynne climbs rocks. She was sitting cross-legged when researchers with the Newtown Creek Alliance found her, they said. The City Council is set to vote on the Cabaret Law's repeal on Tuesday afternoon. Thirty-eight subsidized apartments are up for grabs in a grand Street building where Rainbow used to be.